Peeling an acorn squash is effortless to do! Acorn squash is a Fall/Winter vegetable that promotes the health of skin, hair, eyes, blood, and bone through vitamins A, C, B-6,and minerals: calcium, iron, and magnesium. Tasty and Easily prepared with a combination of a few common vegetables, herbs and spices. Wash, Peel, and quarter the following vegetables placing into a medium size sauce pan: acorn squash, potato, celery, onion. 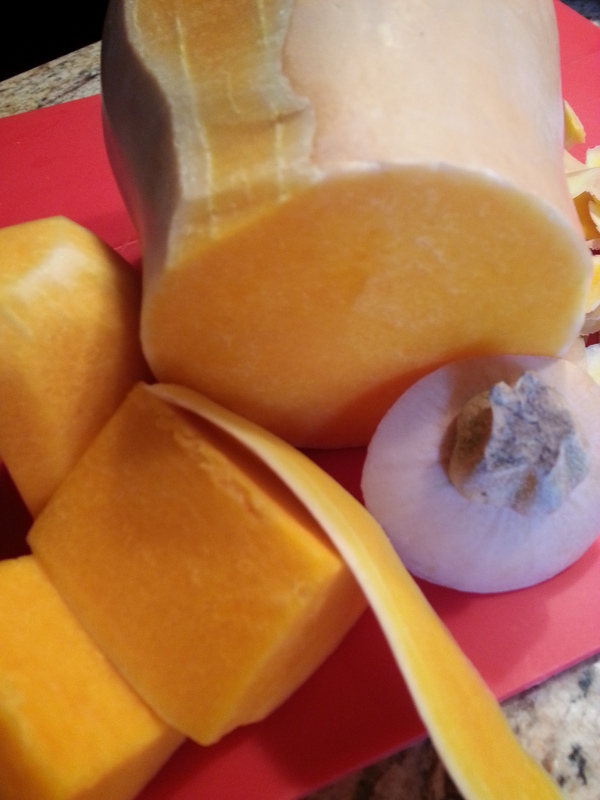 Best to cut the acorn squash into quarters and peel the squash with a rigid potato peeler or pairing knife. Scoop out the seeds/fibers from the center and discard. Boosts immune system, promotes health bones and skin. Perfect for winter! rocessor, purée all ingredients. 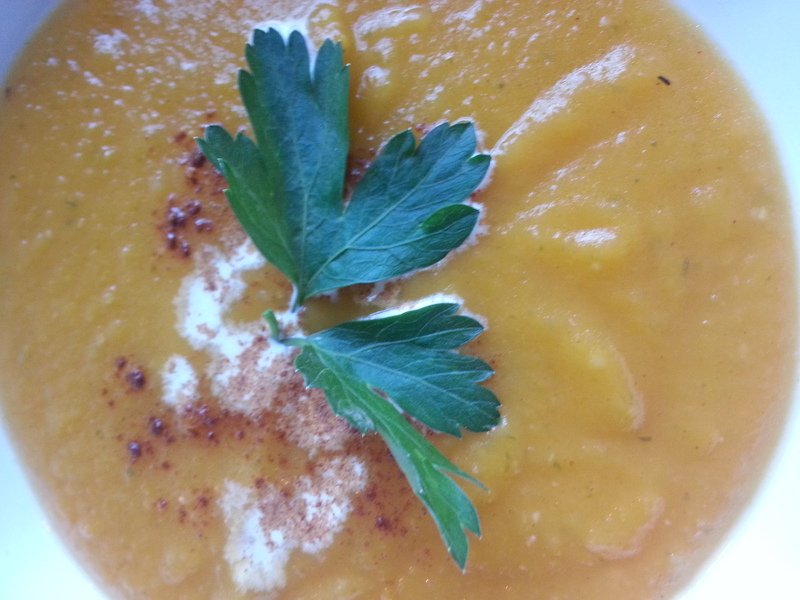 ladle soup into bowls, top off with a drizzle of cream, a dash of cinnamon, and top off with parsley.